Having the best Bluetooth motorcycle headset for road trips is very important. This is because a Bluetooth motorcycle headset will let you answer calls hands-free. By so doing, the headset helps minimize the chances of road accidents. 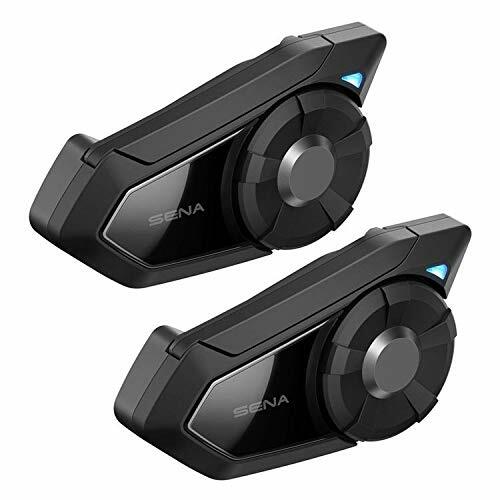 Ideally, the best quality Bluetooth motorcycle headset allows for group communication, meaning you will not turn your head to talk to the rider behind you. This too reduces the chances of being involved in an accident. In these reviews, we provide you with a detailed insight of the best-selling Bluetooth motorcycle headsets to let you get a suitable model without breaking a sweat. This motorcycle has Bluetooth 3.0 connectivity. The Bluetooth feature will let you listen to and share music not to mention making phone calls with speed dialing. It also makes it possible to take part in a 4-way intercom conversation. The battery that comes with the Bluetooth headset is rechargeable and works up to 12 hours of talk time and 10 days of standby time when fully charged. The headset also has advanced noise control technology, which reduces the background noise for outgoing and incoming audio. Moreover, the headset comes equipped with the Jog Dial that ensures an intuitive user interface. This means you will have an easier time controlling the headset. With a weight of just 60 grams, this Bluetooth headset will stay on comfortably for a long period. It comes with several accessories including DC vehicle charger, USB power & data cable, glued mounting adapter, Velcro pads, Allen wrench, and more. A Bluetooth motorcycle that has all the Bluetooth features is a must-have for any rider. 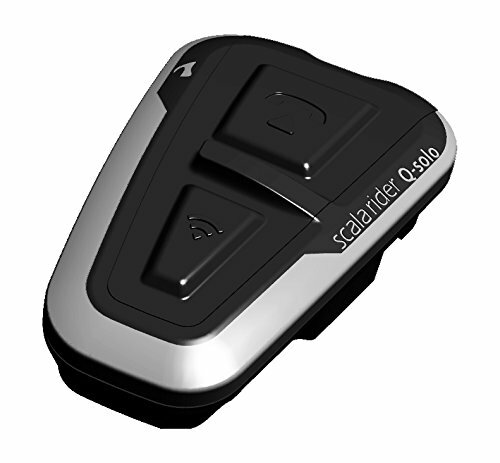 That’s why the Cardo FRC10002 Bluetooth 4.1 Motorcycle Communication System is on this list. 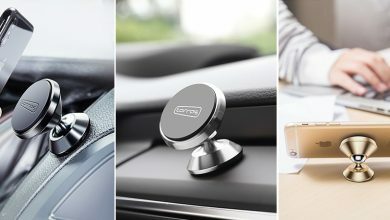 It boasts Bluetooth 4.1 technology and has two Bluetooth channels that will let you connect to two separate devices such as a GPS navigation system or mobile phone. Another interesting feature this motorcycle communication system comes with is the AGC technology that enables it to automatically adjust volume based on riding ambiance and background noises. There’s also VOX (voice activation technology) that will let you answer calls hands-free. The Cardo Connect App of this unit is compatible with both Android phones and iOS devices. Cardo has housed this communication system in a waterproof and dustproof (IP67) housing to enable it to withstand any weather. The Bluetooth 4.1 delivers crisp, clear listening to ensure maximum enjoyment. 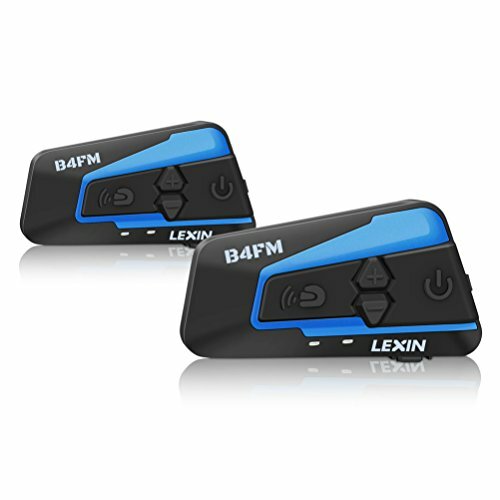 The cheapest yet still the best quality Bluetooth motorcycle headset is this one from LEXIN ELECTRONICS FOR BIKE. It is a well-thought-out Bluetooth headset that will let you call hands-free on your Bluetooth-enabled mobile phone. It will also allow you to listen to music wirelessly or even receive instructions from GPS navigation. The headset is powered by a rechargeable Lithium Ion/Polymer power cell that, when fully charged, offers up to 12 hours of use. The power cell only takes 3 hours to be fully charged and lasts up to 150 hours on a standby mode. The Bluetooth technology the headset is equipped with can be multi-paired to communicate with up to 6 riders. And it has a working distance of up to 1000 meters. This headset comes with two user manuals, two USB cables, two slim 5-millimeter Hi-Fi stereo speakers, and mounting bracket & clamp (2). We regard this Bluetooth motorcycle headset as one of the best in its class because of the high ratings other customers have given it. We are also impressed with its price point that, to be honest, does not really reflect its performance. The headset comes equipped with Bluetooth 3.0 technology that makes it very convenient to use. The Bluetooth technology produces incredibly clear and natural sound quality for maximum enjoyment. Moreover, this device comes with a universal microphone kit to further make it convenient to use.You can charge it while you are on a road trip; something that further takes it convenience to another level. It is firmware upgradeable and works with motorcycles and scooters. Given the features it is packed with, this headset will no doubt be a handy addition to motorcyclists and scooter riders. If you are a rider, you will agree with us that hands-free communication is very convenient. And one best way to enjoy it is to use an innovative headset like this one we have here. 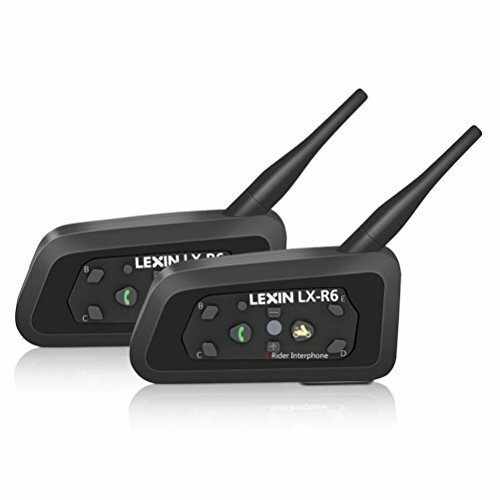 It is loaded with Bluetooth v3.0 protocols to allow you to connect wirelessly to any Bluetooth-enabled mobile phone, GPS device or music player. 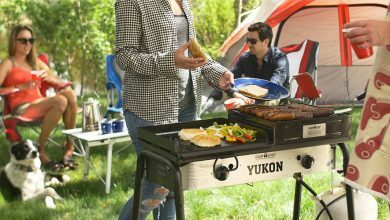 It makes life on the road much easier than ever before. What’s more, the Bluetooth technology of this headset enables it to work extremely super well up to speeds of 120 kilometers-per-hour. The headset is powered by a lithium-ion battery that works up to 8 hours of talk time and up to 120 hours on a standby mode. Its speakers and microphone deliver top-notch sound quality, given that there is advanced noise cancellation technology. The universal pairing feature allows this unit to work with most Bluetooth earpieces or headsets on the market. Buying a product that is backed by a warranty will give you peace of mind knowing that no matter what happens, your money will not go to waste. That said, we believe that the Yideng Bluetooth for Motorcycle Helmet is a great purchase. It comes with a 12-month warranty that protects against any unfortunates. Ideally, it is equipped with Bluetooth 3.0 technology that is powerful enough to allow up to two riders to communicate at the same time. The Bluetooth technology works up to top speeds of 60 – 75mph (100 – 120kph). Apart from communicating with friends, the Bluetooth technology will let you listen to music wirelessly and even get GPS navigation hands-free. The headset also comes with a bigger push-button that makes it super easy to operate even when you are wearing gloves. Plus it has noise suppression and DSP echo cancellation technology, which ensures crystal clear and HD audio. Two great, affordable headsets! This set is without a doubt the real deal. 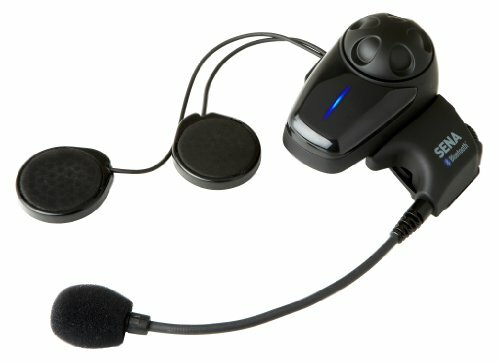 The headsets are equipped with Bluetooth 3.0 technology that can be connected up to 3 intercoms for group communication. Additionally, the Bluetooth technology allows two riders to communicate simultaneously. The two headsets are also equipped with a built-in CSR chip that delivers crystal clear sound within 546-yard range as well as offering good communication up to a distance of 1312 yards in open terrain. The headset can be operated easily, and this is because of the stereo button that is 3D and convex. The button pushes easily even when you have gloves. The headsets come with two different types of microphones. And they are made of waterproof (IPX6) and windproof housing that enables them to hold up well to outdoor elements. This Bluetooth motorcycle headset set is the best bet if you are on a budget. 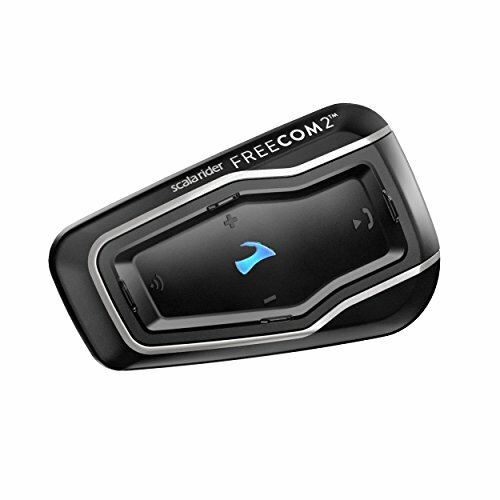 FreedConn’s goal is to become the leader of the Bluetooth industry. And we think they are on the right track, with such top quality products as the FreedConn TCOM-SC model. 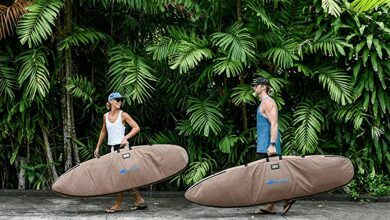 It is a high-functioning unit loaded with all the excellent features you can think of, to make your riding experiences more fun than they initially are. 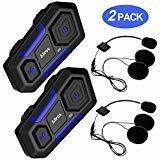 One of these features is the V3.0 Bluetooth intercom that ensures an easy and stable connection to an FM radio, GPS voice prompt, and MP3/Phone music. This means you will be able to answer calls and even reject or redial the last call hands-free. 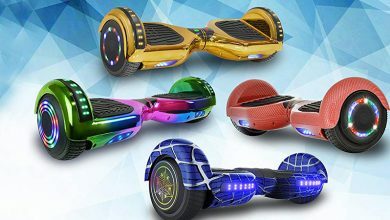 The Bluetooth technology allows 3 riders pairing as well as communication between two riders at the same time. Plus it works even at high speeds of 120 kilometers-per-hour (75 miles-per-hour) not to mention boasting a maximum distance of 800 meters (875 yards). 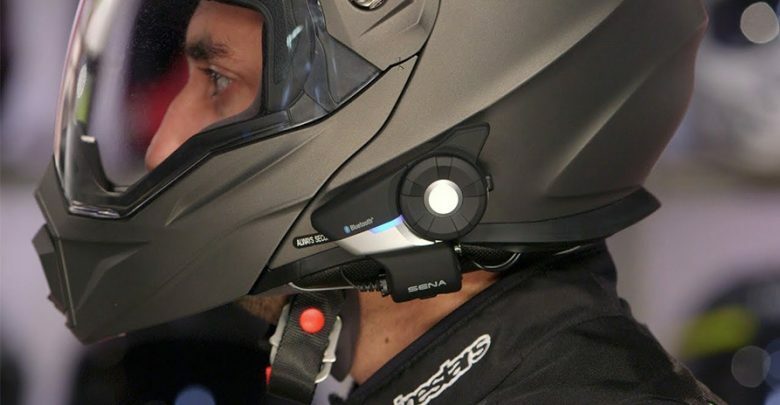 This headset is powered by a high capacity lithium battery that offers up to 8 hours of helmet intercom and lasts up to 120 hours on a standby mode. Riding on an open road can be a little boring if you do not have an innovative device. That’s why we advise that you consider this top-rated Bluetooth motorcycle headset. It comes with Bluetooth 4.1 technology that makes it much more convenient to use. It also has interchangeable corded and boom microphone options to further make it fun to use. With it, you will be able to listen to your favorite radio stations even when you are on the go. And what makes that achievable is the built-in FM radio. The volume of this headset adjusts on its own to allow for an amazing listening experience of music regardless of the speed and environment. The headset can be used with non-Cardo headsets; thanks to its universal pairing. Despite having so many features, the headset is within an affordable range. The Sena 30K-01D model may be the priciest on this list, but that’s because of the intelligent features it is packed with. 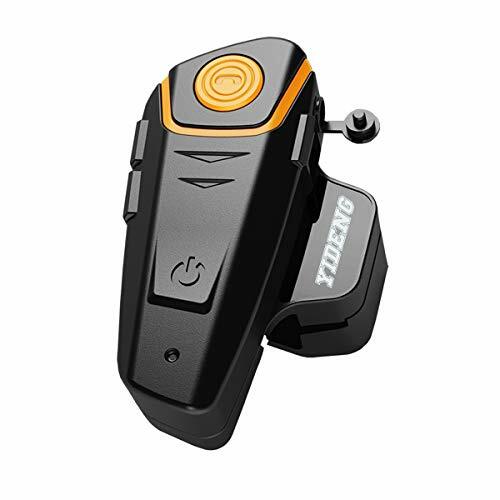 It is a high performance Bluetooth motorcycle headset that allows a group of riders to communicate efficiently and conveniently on the go. Ideally, it functions even when one of the riders goes out of range. This means communication between the remaining riders will remain seamlessly connected while the Sena 30K-01D is still searching for the lost connection. And when the lost connection is back on range, it will reconnect automatically. This unit features the manufacturer’s new Mesh Intercom technology that makes intercom connections more stable than ever before. 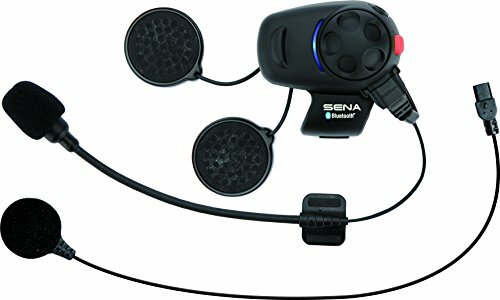 If convenience is your priority, you can go an extra mile and get this Bluetooth communication system from Sena. It will definitely make your work on the road much easier than expected. Our buyer’s guide has the following key features. It is obvious that Bluetooth technology varies from one Bluetooth motorcycle headset to another. With this in mind, you should try as much as possible to choose a Bluetooth headset for motorcycles with high-performing Bluetooth technology. Well, high-performing Bluetooth technology is one that connects to more than two intercoms. It also allows two riders to communicate simultaneously, and it ensures a stable connection even when one of the riders is out of range. Your Bluetooth motorcycle headset should come equipped with a high-capacity rechargeable battery. If possible, choose a unit with a rechargeable battery that goes at least 10 hours of talk time. This will keep you connected for a long period, thereby, eliminating any inconveniences, which may arise as a result of a battery with a short life. 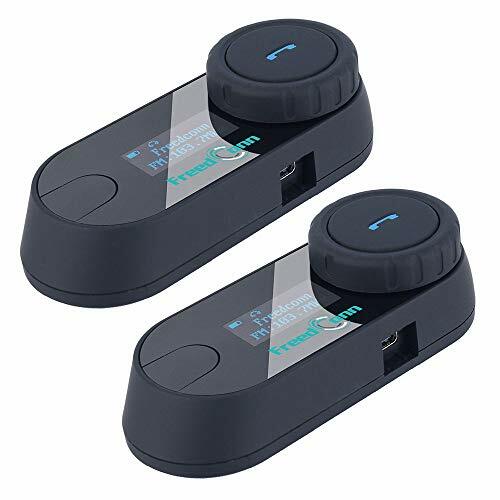 One thing you should not do when buying a Bluetooth motorcycle headset is being so focused on the Bluetooth technology that you forget the build quality of the Bluetooth headset you plan to buy. Remember you will be using the headset outdoors where the environment can be very harsh. Therefore, choose a unit that is waterproof and dustproof. What’s the function of VOX (voice activated technology)? The main function of VOX is to control a two-way radio for better communication. Its other function is to mute the music or audio for better communication as well. This is simply “Push to talk” switch, and it works just like VOX in the sense that it controls a two-way radio as well. 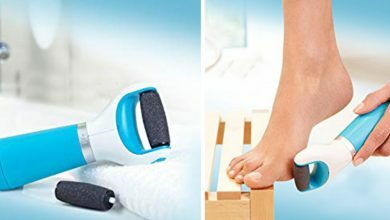 It can be used together with the VOX technology or substituted with it. Can I fit my Bluetooth motorcycle headset on my own? Yes. The process may look complicated, but most, if not all, Bluetooth headsets for motorcycles come with user manuals to ensure easy use. Bluetooth motorcycle headsets were introduced to help make road trips fun as well as to significantly reduce road accidents. In our opinion, they have done just that. We, therefore, urge you to pick one even if you are not a motorcyclist, as they have proven to also work with scooters etc.